"Everything happens inside the truck...and each piece is a complete installation." 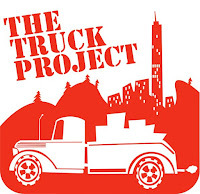 How did The Truck Project come about? Jean Ann had done a version of her show, The Backroad Homeshow as part of an event called Lost Horizon Night Market, featuring all sorts of crazy art installations in the backs of trucks. That's where it started. We'd both independently fell in love with the idea of a self-contained venue that could be driven around the country like the wagon the Players have at the beginning of Rosencrantz and Guildenstern are Dead, where the side of the truck opens up to become the stage and suddenly Shakespeare is happening along a roadside. A 24' Budget truck doesn't work quite the same way, obviously, but it does have its own charms. How are you staging it? Everything happens inside the truck and we get the audience in there with us. There's more room in there than you'd think, and each piece is a complete installation that transforms the truck into a completely unique environment. Jean Ann's piece turns it into a cozy little vaudevillian theater with benches and pillows and peanuts for the audience. Mine isn't so cozy. What are the plays about? There are a pair of short pieces that happen: Jean Ann's The Backroad Homeshow is a ridiculous attempt for the director to recreate her show for the audience because, as the director, she "knows all the parts". My show, Not Winehouse, presents Amy Winehouse talking about her life...except that she's me, and while I play her, I make no attempt to look or act like anyone other than myself. Both are about presenting a thing that isn't there, and using imagination and force-of-will to contradict a concrete and irrefutable reality. I am not Amy Winehouse, but I am. Jean Ann's show never happens, but it does. The truck is not a theater, but it is. Jean Ann did a version of her show in a truck for Lost Horizon Night Market. I have done other forms of mobile theater including an event I created called Short Plays for Subways, in which a play was presented in the last car of the F train between East Broadway and York Street, which is a two and a half minute ride. There were three shows circulating back and forth. Everyone got into it once we told them we weren't asking for money. Where are you touring and are you driving the truck to the other states? We decided that it would be more cost effective and better for the environment if we didn't drive a 24' box truck from Brooklyn to Austin and back, so we'll be renting one at each of our stops. Will you be doing it again in New York? We would like to. It will be a matter of scheduling where and when we can do the show again in spring. 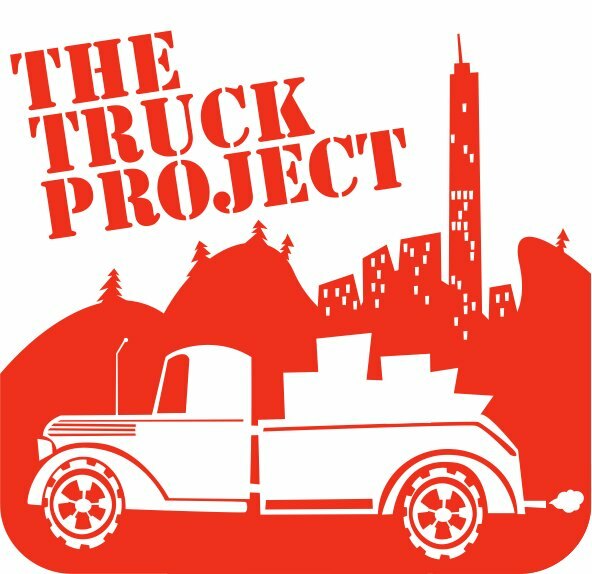 The Truck Project will be playing in New York through Tuesday, Nov 9th. For location information and tickets, go here. They will be touring throughout November to Spartenburg, New Orleans and Austin.